Enthusiastic campaigning to save this much-loved amusement park from demolition resulted in an injection of funding and, following Phase One of the renovation programme, Dreamland reopened in 2017. Landscape architects AECOM, specialists in restoring and creating perfect settings for a variety of environments worldwide, have transformed the open, hard spaces into lush, green parkland. 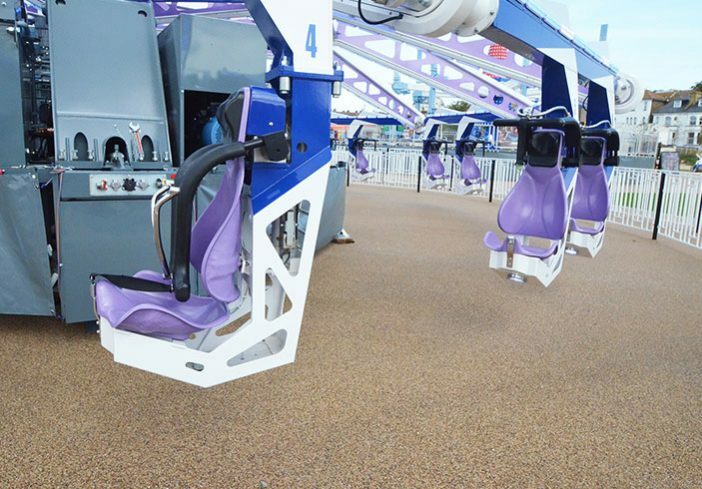 For practicality and a look that accommodates both the modern and historic rides such as the Grade II-listed roller-coaster, AECOM specified resin bound to resurface the main concourse and ride areas. 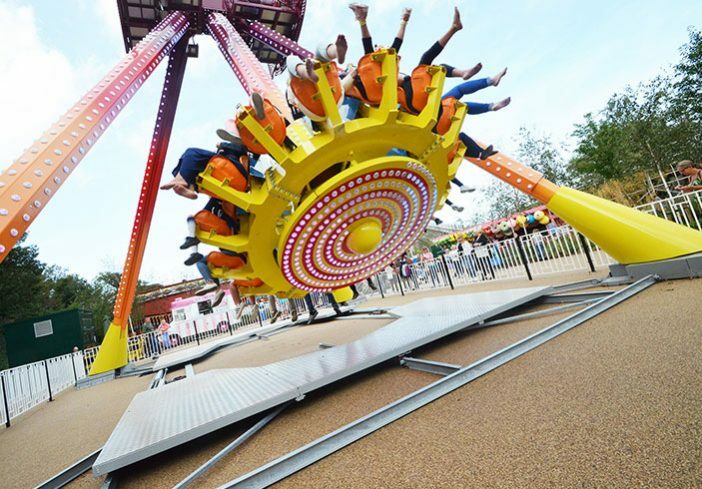 In 2018, with Phase One of the regeneration complete, Dreamland’s Head of Technical Services and Ride Engineer, Andrew Gall, working with site contractors Walker Construction, was looking forward to installing thrilling new rides: Pendulum, Dreamcatcher and Dreamland Drop. But with summer just weeks away, Andrew needed the ride areas resurfaced and, to add to the challenge, the resin bound colour used in Phase One had been discontinued. The transformation of Dreamland envisaged by AECOM, the graphics team at HemingwayDesign and Dreamland called for a consistent look across the whole park. Nothing less than an exact match with the existing resin bound would do. Fortunately, Clearstone Operations Director Spencer Kennard loves a challenge. “To match existing pathway areas, we replicated the existing colour by creating a special mix based on Derbyshire Aggregate’s Devon Yellow,” says Spencer. 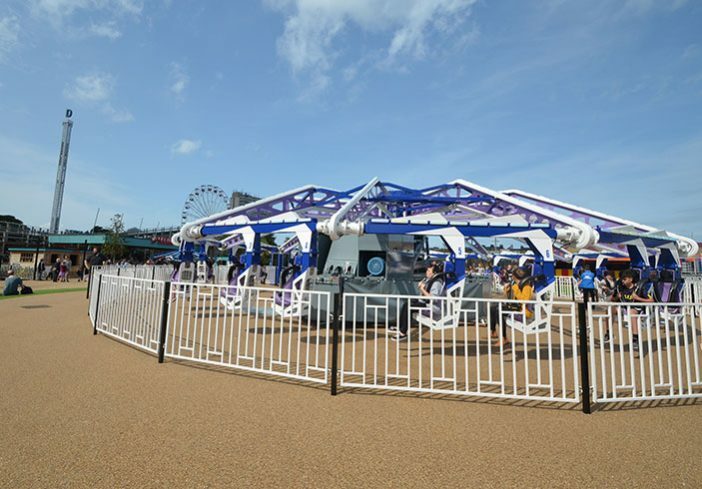 “Despite the tight schedule and working in 30 degree heat, we pulled out all the stops so that Dreamland could open the rides on time,” says Spencer. 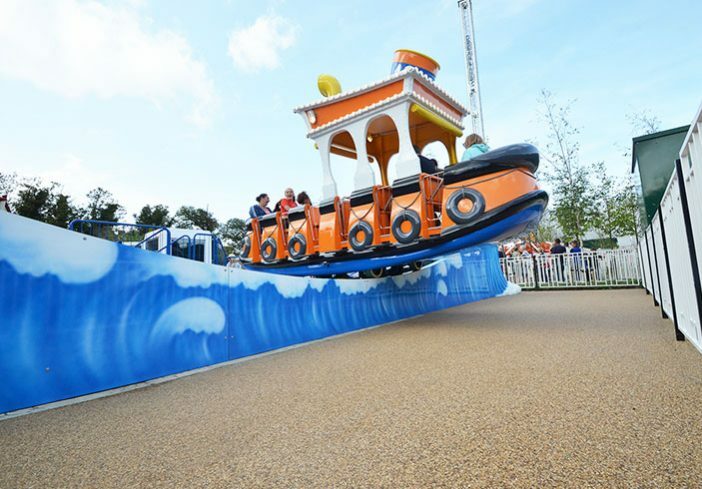 Dreamland was open to the public on several occasions during installation, a challenge SSIP, ISO9001 and Constructionline accredited Clearstone met with care and attention to detail. 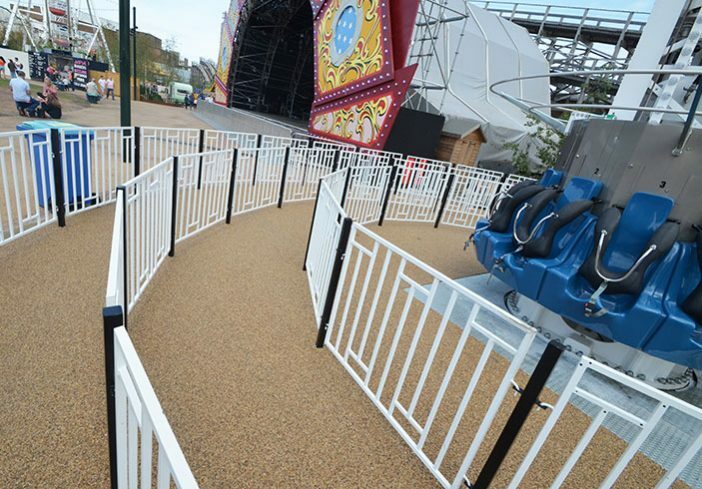 The irregular shapes of the areas around the rides and the decorative rails presented no problem either as the flexibility of resin bound allows Clearstone craftsmen to create sharp angles, curves and install around existing features. 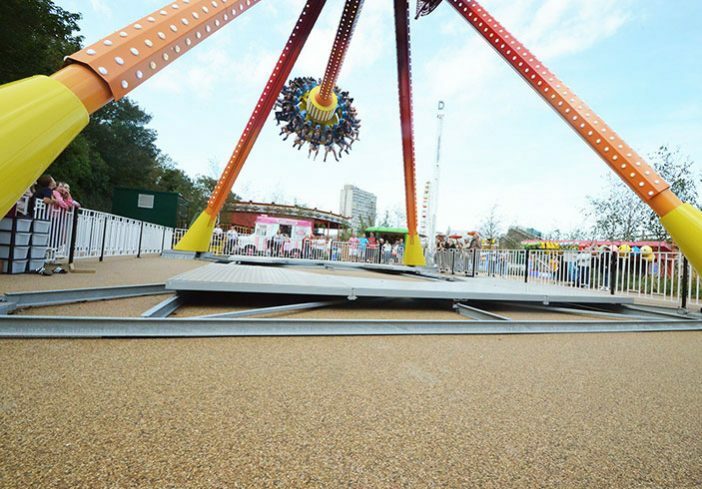 Clients Dreamland and Walker Construction are delighted with the installation of the resin bound. “Resin bound is resilient, easy to clean with a quick power wash and requires far less maintenance than loose gravel. It’s also safer for kids running around as they can slip over on loose gravel,” says Dreamland’s Andrew Gall. 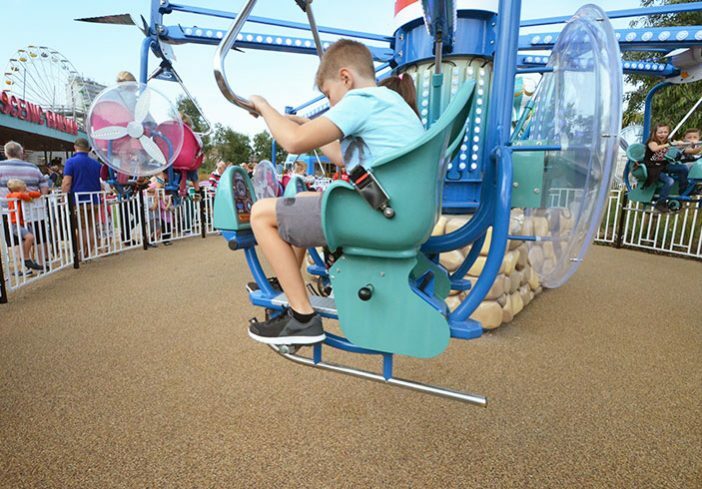 Andrew loves the permeability of resin bound because it means the approaches and queuing areas to the rides are now puddle-free. And, unlike loose gravel that travels, creating bare patches that become muddy in wet weather, resin bound stays put and looks clean. “Dreamland wanted continuity across the site and Clearstone has done that with the colour match. It looks fantastic, the work was done on time and to a high standard,” says Walker Construction’s Project Quantity Surveyor, Bernie Keens. 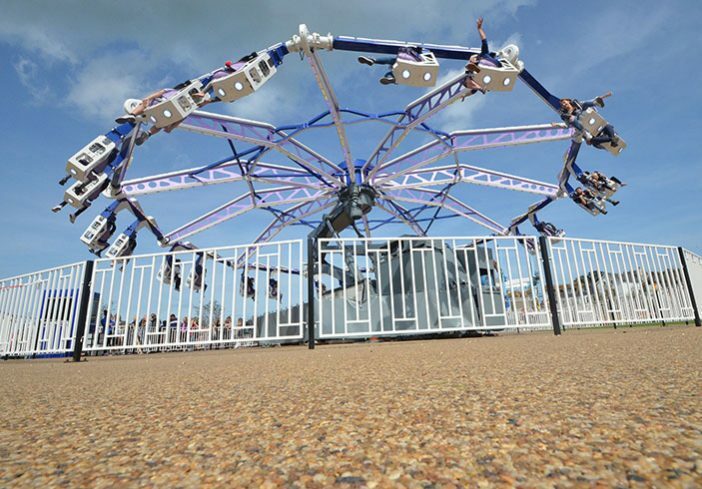 Viewed by many as the ‘heartbeat of Margate’, Dreamland is both a draw for visitors and a provider of entertainment and opportunities for the local community. 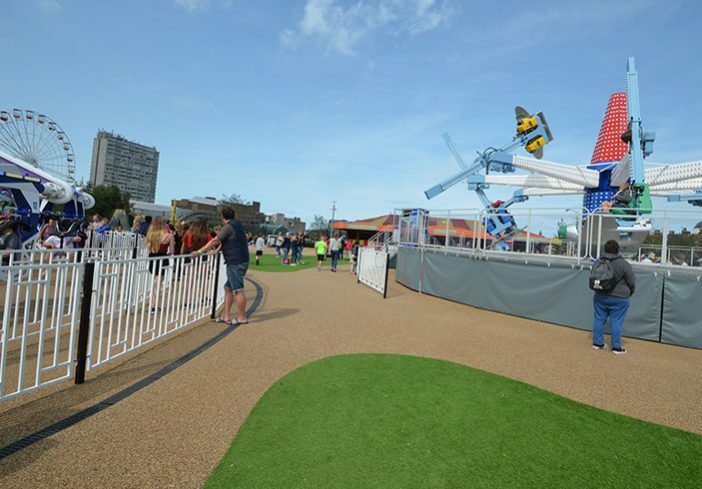 With safety and the realisation of Dreamland’s vision as priorities, Clearstone is proud to have helped towards meeting these requirements with the installation of their resin bound. 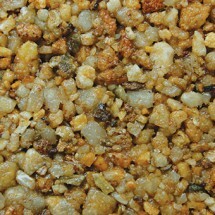 Area: Installed resin bound area 2,175 m2, laid at a thickness of 18mm.